Figures 2 a-b. 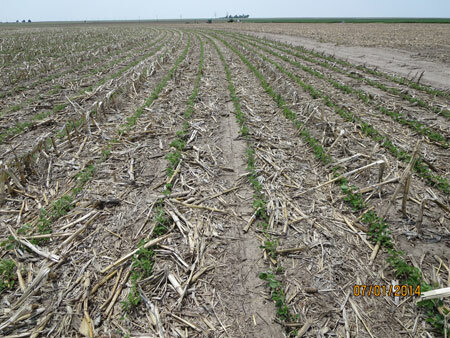 Hailed soybean on June 19 (left) and July 1 at UNL's Water Lab near Brule in west central Nebraska. 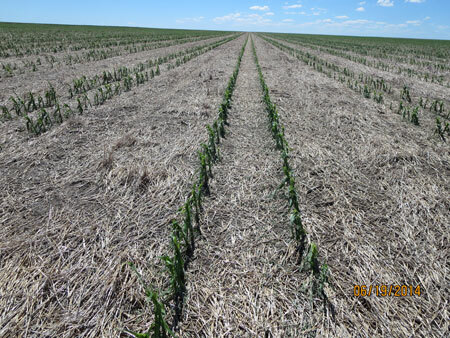 When hail hits, it's hard to look at stripped and badly injured plants and not want to replant a field, but often, a little patience may be more beneficial than getting out the planter. In these photos Bob Klein, extension western Nebraska crops specialist, shows how crops at the UNL Water Lab at Brule are recovering from mid June crop damage. Photos on the left were taken June 19 and photos on the right were taken July 1. Growers also should consider how weed management will be affected. A good stand is much more competitive with weeds than one delayed by hail or has skips. 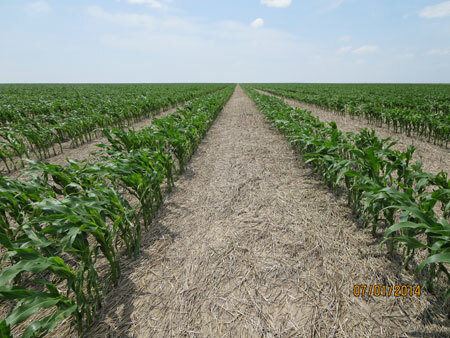 Additional herbicide treatments may be necessary because of less crop competition. 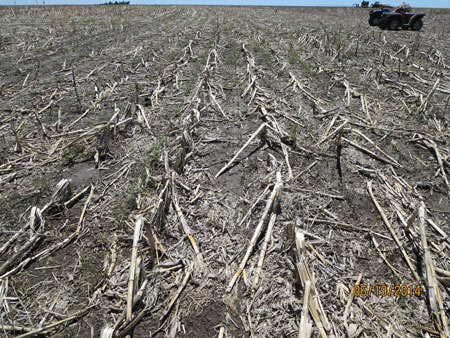 For more information see the Storm Recovery section of CropWatch, including links to extension circulars on assessing hail damage to corn, soybeans, and sorgum.